Turkmenistan celebrated the International Day of Novruz, the National Spring Holiday, on a large scale, the main celebrations in honor of which were unfolded in the Novruz Valley in Ahal velayat, where the building was erected in the form of a huge yurt - “Türkmeniň ak öýi”. Here, with the participation of President Gurbanguly Berdimuhamedov, the next stage of the implementation of a large-scale landscaping program was launched. 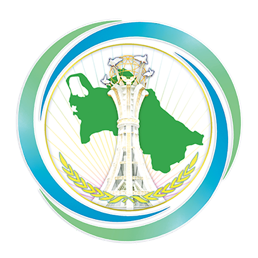 Among the guests invited to the event were representatives of the diplomatic corps accredited in Turkmenistan, including the United Nations subdivisions. During the conversation, the head of state thanked them for their active participation in all significant events organized in our country, significant contribution to the development of relations with the states and international organizations they represent in Turkmenistan, to the implementation of ambitious regional and international projects. The President noted that in the implementation of the national planting program there is a part of their work, thanks to participation in such large-scale actions as the current greening yevar, stressing that good things are being done by the whole world. And this is a good tradition that serves better mutual understanding. Continuing the theme, the President noted that environmental protection, careful attitude to nature, preservation of its beauty and wealth for future generations is the most important priority of the state policy of Turkmenistan. Ecology in our country is given the closest attention as a significant aspect of the UN “Agenda until 2030”. The heads of the embassies and representative offices of international organizations accredited in our country expressed their gratitude to the head of Turkmenistan for the conditions created for effective activity, stressing that it is a great honor for them to take part in events of great importance in the life of the state and society. Having declared March 21 as the International Day of Nowruz, the United Nations called for celebrating this holiday as a triumph that strengthens peaceful relations between nations, affirming the ideals of friendship, fraternity and humanism. The most crowded festive event in honor of the International Day of Novruz in Turkmenistan was traditionally a grandiose folklore and ethnographic presentation at the Novruz ýaýlasy site, where the building stands in the form of a huge yurt, Türkmeniň ak öyi. All the guests and participants of the festival in honor of the coming of spring and the awakening of nature, symbolizing peace, harmony between people, good neighborliness and friendship, including government members, leaders of the Mejlis, ministries and departments of the country, public organizations, diplomatic corps accredited to Turkmenistan, the media, as well as representatives of all velayats and the Turkmen capital, as well as various countries, including tourists. The performances of singers and musicians have brought a unique charm to the palette of the festival iridescent with all colors, where ancient music and songs intertwined with the pop rhythms of our days. And the performance was crowned with a common dance kushtdepdi, embodying the cycle of life and the sun, giving life and light. This creative dedication to Novruz made it possible once again to make sure that the traditions of the ancient holiday today receive a new reading, and our heritage keeps a lively connection with modern generations.